Lex J. Byers serves as senior counselor at Argent Capital, LLC, a financial architecture firm. He is also creator of the ASC™ Strategy. In that capacity he is responsible for the overall regulation and structure of the company, conducting enterprise valuations and diagnosing the fiscal health of client organizations. Byers joined Argent, LLC following an extensive career in government, tax research, financial analysis and marketing that spans the past 30 years. A former senior congressional staff member (Executive Assistant to The Honorable Eldon Rudd - 4th District, AZ), Lex Byers uses his extensive knowledge of Washington D.C.'s regulatory and legislative environment to keep the organization current on pending federal tax, retirement and business issues. Additionally, he holds membership in the Association of Corporate Counsel and is a General Associate of the American Bar Association, where he is active in the ABA Sections on Tax and Estate Planning. Lex Byers’ entrepreneurial career also includes serving as government affairs manager for the Food Marketing Institute (Washington, D.C.); government affairs manager for the Greater Phoenix Chamber of Commerce and executive vice president of the Scottsdale Chamber of Commerce. Lex Byers was educated at the University of California-San Diego and the University of San Diego. He holds Degrees in Psychology, Communications and Law. 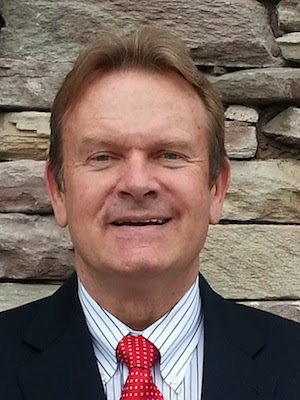 A recognized expert in retirement planning, income tax mitigation and asset protection, Lex Byers has experience structuring tax and enterprise transactions, including corporate and limited liability company formations (domestic and offshore), acquisitions, dispositions and mergers, buy-sell agreements, partnership agreements, joint ventures, real estate acquisitions, dispositions and tax-deferred exchanges. Additionally, Lex Byers has substantial experience in the areas of ERISA, tax treatment of business enterprises and tax-deferred entities. His Business Succession work focuses on transition issues for professionals and small business owners. The primary goal of professionals and small business owners is often to minimize taxes while retaining control of their business. To that end, Lex Byers has extensive experience setting up both qualified and non-qualified retirement programs with their attendant tax deferral benefits. In his asset protection practice, Lex Byers assists clients in protecting their assets from potential creditors arising from personal and business transactions. Specific, tax-neutral strategies utilizing both onshore and offshore vehicles include the use of Asset Protection Trusts, corporate veils, bearer shares, spendthrift trusts and International Business Companies. He also has extensive experience representing clients before the IRS, the FTB, the BOE and other taxing authorities on issues ranging from simple sales tax examinations to complex unitary business investigations and tax controversy matters. He is a frequent lecturer to various financial planning and professional associations on topics ranging from structural formation and taxation to asset protection and retirement planning. He is an instructor for continuing education of Attorneys, Financial Planners and Certified Public accountants lecturing on ART: Asset protection, Retirement and advanced Tax planning techniques.